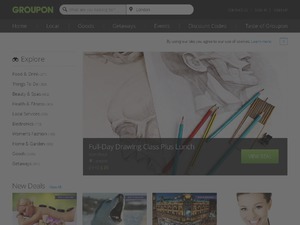 Do not miss another Groupon UK voucher! 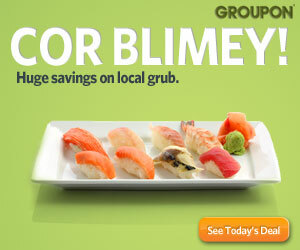 Simply leave your e-mail address and we'll always keep you informed of new vouchers for Groupon UK. Offer condition: Valid on one local voucher per person. Max discount £20. Offer condition: Code valid on a single voucher per person. Not valid on a third party website. Up to £20 discount. Not valid on Goods or Getaways deals. Latest voucher code valid at a time of promo publication was entered to be working from 2015-02-25.